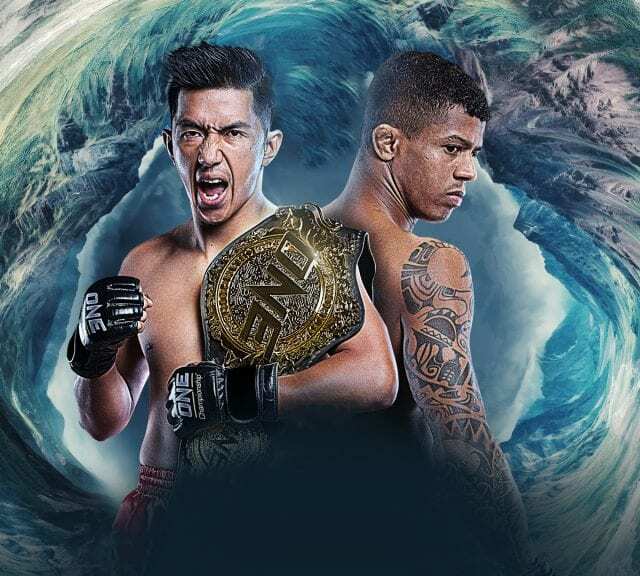 ONE Championship returns to the Philippines this week with ONE: Hero’s Ascent taking place on Friday, January 25, 2019, inside Manila’s Mall Of Asia Arena. Stand-up fans will be well-catered for this week with five ONE Super Series bouts scheduled throughout the night. Last June, interim flyweight champion Geje Eustaquio clashed with regular champion Adriano Moraes in a tightly contested unification bout. The Filipino edged out his rival via razor-thin split decision victory. That victory that could have easily gone in the Brazilian’s favor. The bout was a rematch of their first contest in 2014, which Moraes won via second-round submission. Since 2014, Eustaquio has improved in leaps and bounds. The 29-year-old former wushu fighter was already a talented striker, but his ground game required refining. In their June meeting, Eustaquio’s development in this department was showcased for all to see. Moraes was still the stronger grappler, but Eustaquio improvements nullified the Brazilian’s submission attempts. Their upcoming rubber match is shaping up as genuine 50-50 contest. Both men are aware of each other’s strengths and weaknesses, and it is unlikely either fighter has made any dramatic technical improvements since their last encounter. The winner will again come down to who can better execute their game plan while making as few errors as possible. In the end, whoever emerges victorious will soon find a “Mighty Mouse”-sized shadow falling over them. In the eyes of many fans, Demetrious Johnson became the division’s de facto champion as soon as he signed his contract with ONE. It will eventually be up to the winner on Friday night to prove them wrong. Former ONE Featherweight champion Honorio Banario will face off against returning undefeated American Lowen Tynanes on Friday. Their fight will mark the start of the ONE Lightweight Grand Prix Tournament. Banario has established himself as one of the top fighters in the lightweight division since moving up weight classes. The 29-year-old has won six of his past seven bouts. 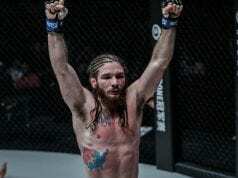 He last fought in November where he defeated Singapore’s Rahul Raju via unanimous decision. In Tynanes, Banario will be sharing the cage with the lightweight tournament’s wildcard. The 25-year-old former Hawaiian State Wrestling Champion most recent appearance inside the cage was in 2016. When he won a unanimous decision victory over Japanese veteran Koji Ando. At the time, the Honolulu-based fighter seemed destined for a title shot. However, injuries curtailed any talk of a championship bout. How he will fare on his return is one of the most interesting questions hanging over this tournament. Last year’s signing of Muay Thai wunderkind Rodtang “Iron Man” Jitmuangnon to the ONE Super Series, was greeted with excitement amongst stand-up fans. A two-time Omnoi Stadium Muay Thai World Champion with over 300 professional bouts to his name, a lot was expected from the 21-year-old flyweight in his debut. Thankfully for ONE, the “Iron Man” more than lived up to expectations when he comprehensively outpointed the highly-rated Sergio Wielzen. At ONE: Hero’s Ascent, Rodtang will take on ONE debutant Fahdi Khale. The Tunisian trains out of Thailand’s Venum Training Camp and is a former WMC Intercontinental Muay Thai Champion. As good as Khale is, it would still be considered a huge upset if the 23-year-old walked out of the cage victorious on Friday. 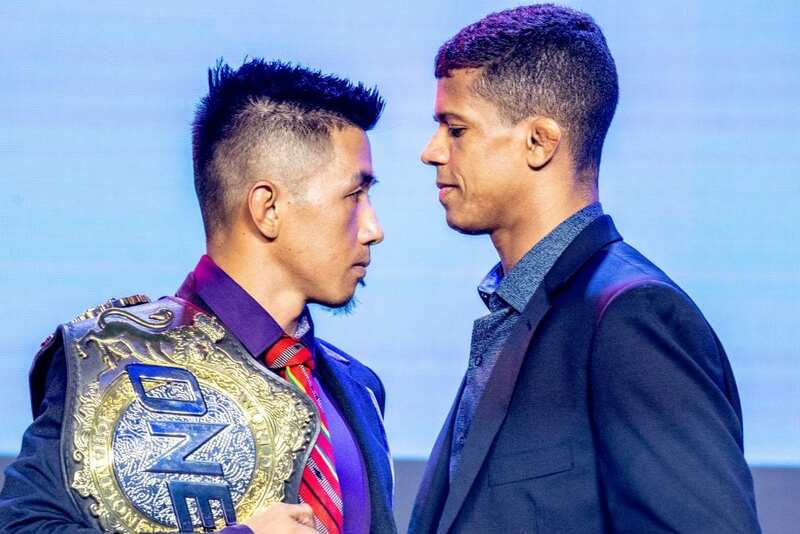 Rodtang is shaping up to be a possible breakout star for ONE Championship. If the Thai boxer can stay healthy and active, it would seem that the sky’s the limit for the Bangkok-based athlete. It would not be too hard to imagine Rodtang headlining a major event in the near future.